Please click here, on the Not Being A Jew, Because You're Not a Greedy C***s" Facebook page, look to the left, under the number (currently about 200) people who "like" this and click the "report" link. Then click on "Hate speech or personal attack," then click on either "targets a religious group" or "targets a race or ethnicity" (as all apply to the Jewish people), and let's hope Facebook does its job to actually enforce its rules against content that promotes hatred or violence. This is just one of the latest samples of thousands of pages on Faceboo k that promote hatred and violence against Jews. 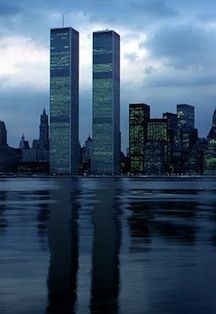 There are many other pages that incite Islamic terrorism. On Facebook, with its 800+ million members, many learn that antisemitism and Islamic terrorism are acceptable thanks to content like the page we posted above. As Facebook continues to be negligent in dealing with these problems, the trends continue to go viral and the "virtual" hatred and promotion of violence translates into real-world crimes and attacks against the Jewish people, Jewish State, and Western world at large. While Facebook continues to be negligent in dealing with material which is actually harmful, Facebook continues in its effort harass and censor pro-Israel Jews whose views differ from the notoriously anti-Israel and extreme left wing atheists that run the company. Beyond all this, is the issue of the mainstream Jewish/Israel establishment organizations which pretend to fight these problems, but are actually negligent as well. They are busy stealing our work, trying to take credit for it, sucking up to Facebook, issuing glossy press releases stating how wonderful they are, and then spamming people through fundraising emails. How did they get your email address? --Through fraudulent online petitions they ask you to sign! Through these fraudulent petitions, they make you think you're advocating for a cause, but they are actually collecting your email address and other pertinent information in an effort to hit you up for money later. And when they aren't busy doing all of that, they are calling you. At dinner. Trying to guilt you into quickly pledging your support. If you're Jewish, you've received these calls from you local Federations. It's time everyone STOPS their support of amoral and unethical organizations that are negligent on the real dangers to Israel and the Jewish people and STARTS supporting efforts which are sincere, doing the hard work, and taking the proper stands. While other organizations and "leaders" are busy sucking up to Holocaust denying terrorists like Mahmoud Abbas (a/k/a Abu Mazen) we've taken the clear and proper stand all along. The bottom line is that no other organization has been on top of these trends like the JIDF. We're gritty and we're grassroots. Some don't like our style, but we say what must be said, and we get the job done. That's why you should support us with anything you can. $5-18/month from enough of you would help this cause greatly. A little bit from you will help us recoup the time effort and expenses that have added up over the years as our work has successfully take out thousands of pages of antisemitic and jihadist content from the internet. We also continue to advocate for Israel in groundbreaking ways. We have done this by researching the problems and addressing them head on, while simultaneously creating the largest online action network of its kind. More work must be done. Which is why we need your continued generous support. 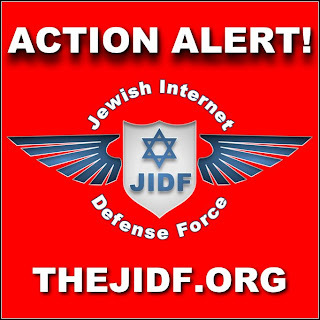 Please either click here, click the big blue banner below, or visit PayPal.com and send funds directly to admin AT thejidf DOT org in order to support our hard work! Once again, we have been successful in removing yet another antisemitic Facebook page. However, in this time not one dollar came in to support our work. Though we're the most effective organization in removing such hate, and though we have thousands who claim to support our work, a tiny percentage actually put their money where their mouth is. That's a shame. And it's always been the case. For that reason, it's unlikely we will continue putting in the same amount of time/effort. We need to raise $5,000. Can you help us raise it? It's up to you if you'd like to see us continue.